Texting while driving blamed for Tatum teen's death - KLTV 7 News Tyler, Longview, Jacksonville : "Lillian's friends are already putting those words into action. 'The junior class is all going to sign a pledge, and we're all getting thumb bands in memory of Lillian Propes,' another friend said. ( Thumb Bands Distributer by EliasPromos with a Pledge form. The school will host a memorial for Lillian Propes Thursday night, March 31, at 7PM. A scholarship fund has also been set up in her name at Citizens National Bank in Tatum." Don't Text & Drive! It Kills! 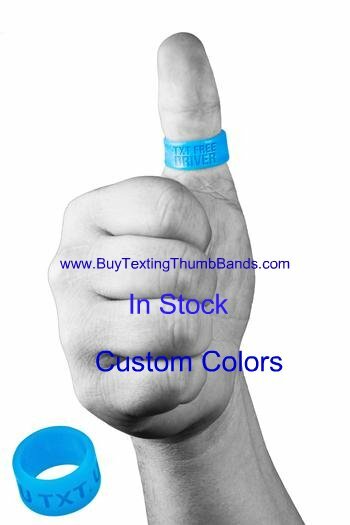 Order Your Texting Thumb Bands Now! In Stock! Free Pledge Form with you Logo in PDF format! 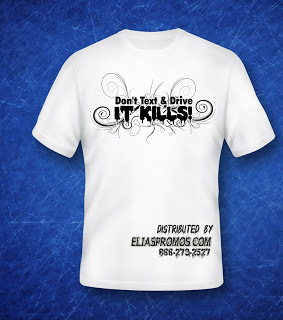 If You need a Poster Just email us at info@eliaspromos.com and we will send you a Poster to Print in PDF format with our Don't Text & Drive Logo. 500 pieces and above you can order a custom color with a custom insert card with your logo. Call Us to set Up Your Campaign at 866-279-2527! 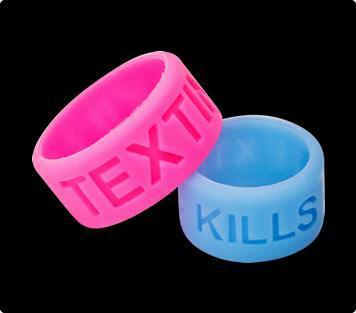 Texting Kills Thumb Bands Rings In Stock Pink and Blue Order Now! All Orders come with a Free Pledge form with your logo in a PDF format. Posters also available you can print for your campaing. High Schools, Universities, Police Departments, Counties, Health Departments, & States Call Now to start your Campaign! We can Help! 941-723-1161! Please email info@elaispromos.com for pricing over 50 pieces. 500 pieces as low as $0.27 each call now in Stock Pink or Blue with Texting Kills & Text Free Driver! Schools, Universities, Businesses, Health Departments, Conties and States have joined forces to STOP this problem. Now It is Your Turn! Take the Pledge! Wear the Band! Dont't Text & Drive! Order Your thumb Bands in Stock Pink or Blue with Texting Kills or Text Free Driver! As low as $0.17 per band with a Free insert card with your logo! Insert Cards are for 500 pieces and above for cusotm orders. Thank You for Helping Us Bring Up Awareness that Texting While Driving Kills!! 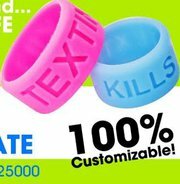 Order Your IN Stock Thumb Bands with Texting Kills or Text Free Drive! We can ship today!! All orders receive a Free Pledge form with your High School, Business, County or State Logo in PDF format. Need help with a Don't Text and Drive Campaign for Your High School or University! We will help with some Great Idea's just call 866-279-2527 or email info@eliaspromos.com. In Stock Thumb Bands Pink or Blue Texting Kills ship in 24 hours next business day. Dont Text and Drive! Buy Your Texting Thumb Band Order Now! Like This Page for a Chance to WIN 50 Free Text Free Driver Thumb Rings! We will put your School or Business Logo on our Pledge Form. Contest Drawing is Friday, March 11, 2011! We will post the winner to our page. Fans will also be entered in our Drawing. Thank You! Free Pledge form with your custom logo sent to you in PDF file.